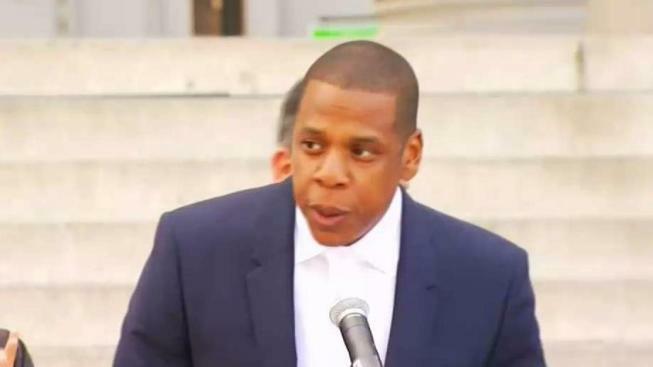 Jay Z is headed to Queens for the second annual The Meadows music festival in September. The Brooklyn rapper will be headlining the three-day event alongside the Red Hot Chili Peppers and Gorillaz, event organizers announced Monday. Queens' own Nas, of Long Island City, and Action Bronson, of Flushing, should also get a warm reception on their home turf. Among the 60-plus other acts taking the stage from Sept. 15-17 are Future, Bassnectar, Weezer, Run the Jewels and LL Cool J featuring DJ Z-Trip, M.I.A., Erykah Badu, Foster the People and Migos. Action Bronson host of "F*ck That's Delicious" on Viceland, takes New York Live's Lauren Scala to a few of his favorite spots in his hometown Queens to grab a bite. The star-packed roster goes on to include Big Gigantic, TV on the Radio, Two Door Cinema Club, Milky Chance, Blood Orange, Broken Social Scene, De La Soul, Joey Bada$$, Tegan and Sara, Tory Lanez, 21 Savage and many more. For the complete lineup, visit TheMeadowsNYC.com. Tickets go on sale Wednesday at noon, starting at $275. The festival will also showcase art and feature food vendors and craft cocktails in partnership with The Infatuation, organizers say. The event ecomes from the same team behind the Governors Ball Music Festival, Founders Entertainment, who are native New Yorkers.